Sometimes, all it takes is a simple and easy biscuit recipe to make your day brighter. This ginger and orange biscuit recipe is just the thing! I love a colourful kitchen project and if you have a little time to get baking these Rainbow Ring Doughnuts are great fun and totally delicious too! I’m sure that it’s obvious to see, I am a huge cookie fan. I am also a real spicy food fan too, so there’s nothing better than to combine two of my favourite food loves with these Chilli Lime Chocolate Cookies. 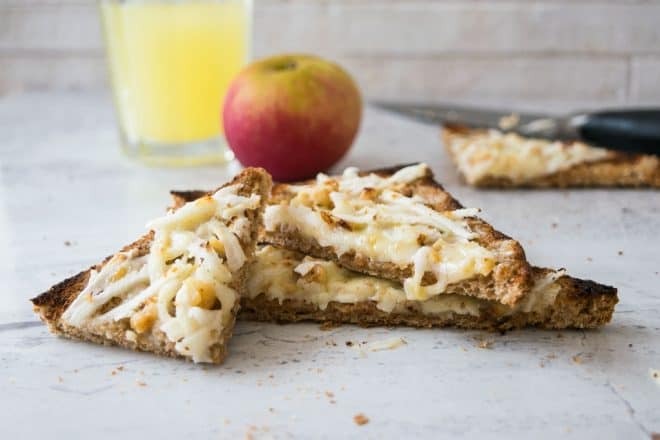 Cheese on toast is a great little after school snack but add the flavours of cheese, apple and walnut in this toast recipe. Makes it even better! A delicious idea for a party or lunch. These savoury pesto flavoured scones filled with Italian flavours are guaranteed to impress your friends.